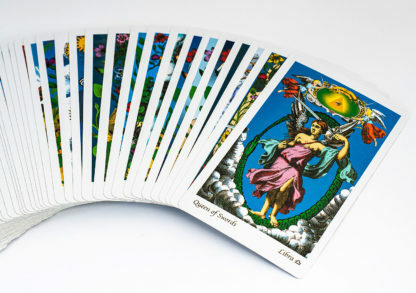 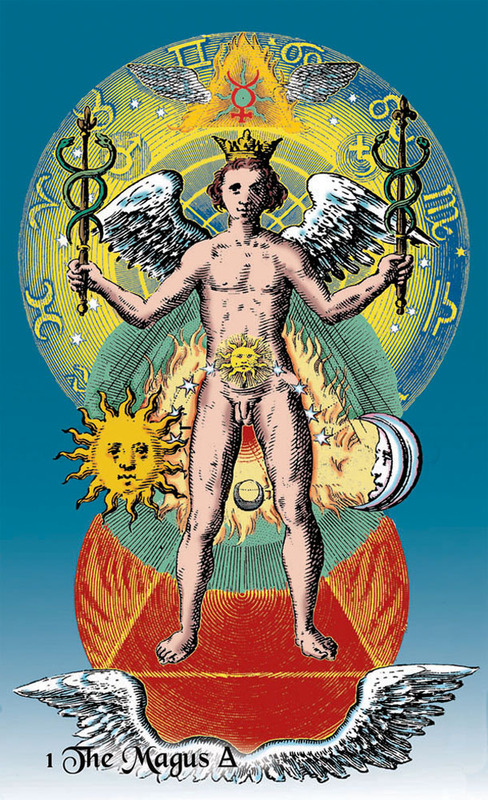 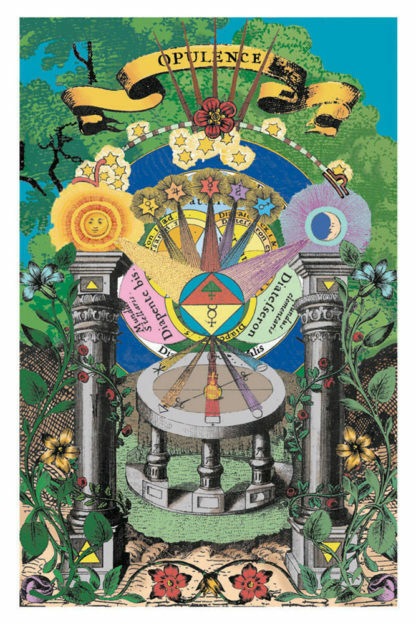 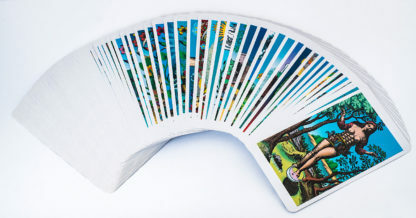 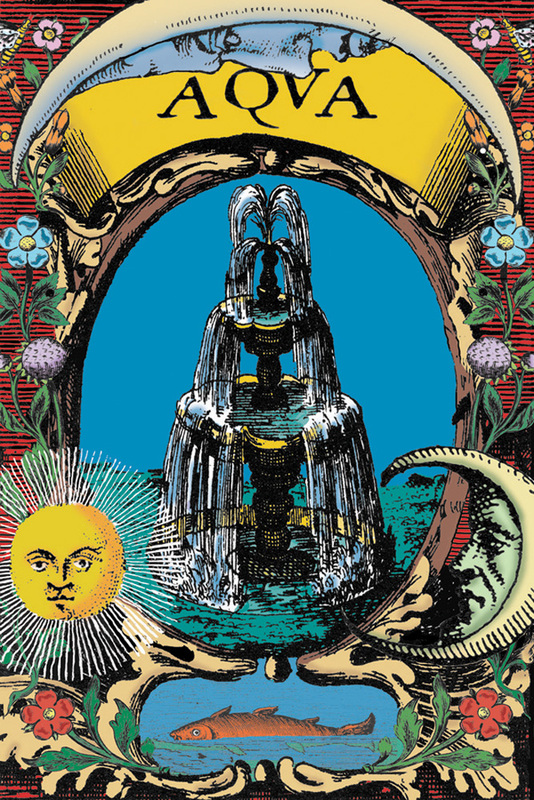 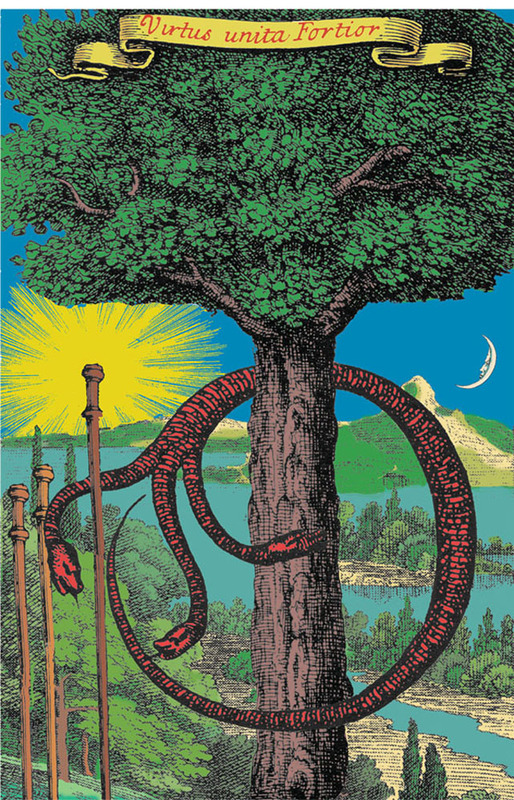 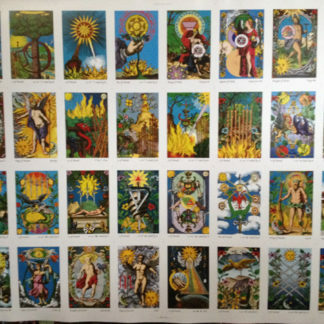 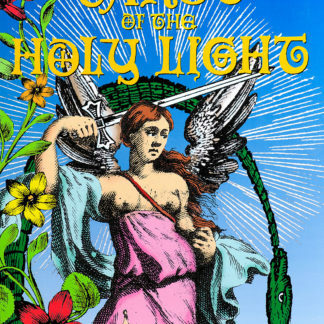 Tarot of the Holy Light: Continental Tarot Deck! 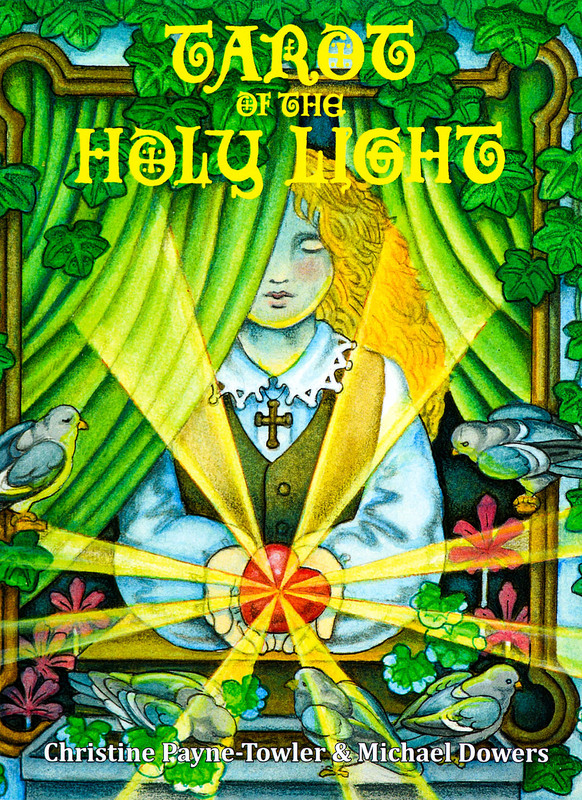 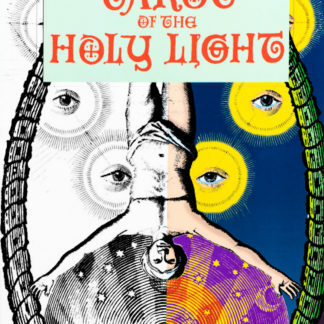 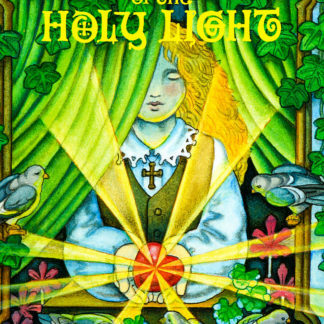 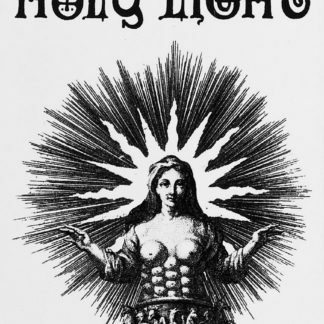 Brownfield Press has produced 1000 copies of Tarot of the Holy Light with the original production values. 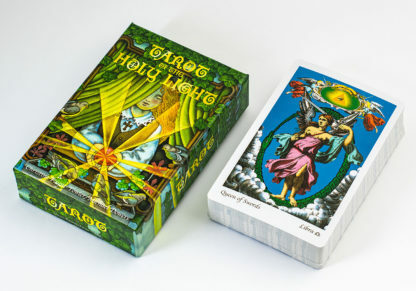 This edition is printed on thick 350 gsm card stock, measuring 3.5 X 5.5 inches. For easy handling of the deck, the cards come with a linen finish packaged in a thick, custom two-piece brick-style box with a revised Little White Book. 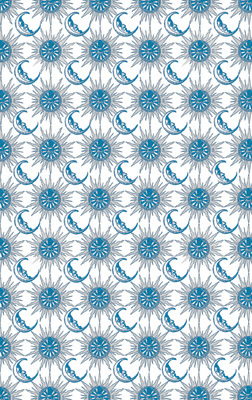 The updated back pattern features Suns and Moons in royal blue and silver (see below).